Chennai, Oct 10 : The Central Bureau of Investigation (CBI) on Monday conducted raids on the premises of former Telecom Minister Dayanidhi Maran after registering a case against him in connection with the controversial Aircel-Maxis deal. The agency also booked his brother Kalanidhi Maran, Maxis owner T Ananda Krishnan, senior executive Ralph Marshall and three companies Aspro, Maxis and Sun TV. New Delhi, Dec 9 : Union Textiles Minister Dayanadhi Maran inaugurated the Master Creation Programme as a part of "Handicrafts week" at a function organized at Dilli Haat here today. Maran, after visiting the various stalls set up by master craft persons at the exhibition, distributed insurance claims to beneficiaries of the Rajiv Gandhi Shilpi Swasthya Bima Yojana. Kolkata, Oct 7 : Union Textiles Minister Dayanidhi Maran Wednesday urged the West Bengal government to hasten the process of setting up jute parks in the state. Five jute parks, each needing 25-30 acres, are expected to come up in the state. "I am told that the said jute parks have not taken off because of problem in transfer of land from promoters to SPVs (special purpose vehicles). I would like to take this opportunity to urge the state government to expedite the process so that the said jute parks can be developed fast," the minister said at a seminar with the industry players here. Kolkata, Oct 7 : In a bid to encourage jute production, Textiles Minister Dayanidhi Maran Wednesday pushed for hiking the minimum support price paid for the golden fibre by Rs. 300 per quintal, nearly 22 percent over the present Rs. 1,375 paid to farmers. "The ministry of textiles is working with the industry. Diversification is important. 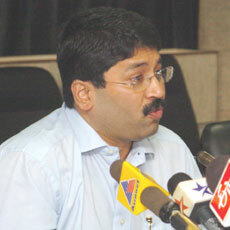 A hike in the minimum support price will encourage farmers to increase production," Maran told an industry seminar here. New Delhi, Sep. 8 : Union Textile Minister Dayanidhi Maran will inaugurate the Gujarat Eco Textile Park setup under the Scheme for Integrated Textile Parks (SITP) at Surat on Wednesday. The park has been set up in an area of 104 acres, at a cost of Rs. 129 crore. It is expected to attract an investment of Rs. 705 crore, and annually produce textiles products worth Rs. 850 crore. It will provide employment to about 25,000 people. The announcement by Union Textile Minister, Dayanidhi Maran, regarding stimulus to domestic manufacturing industry, pushed stocks in the recent trading at the Bombay Stock Exchange. The minister acknowledged the unfavorable conditions faced by small manufacturing units, and promised to help the ailing sector by releasing funds worth Rs 2,546 crore for upgrading textile units. Mr. Maran claimed that all applications under the technology upgradation fund scheme (TUFS) have been cleared, and benefits will be transferred within few days in the respective accounts of beneficiaries who applied under the scheme up to June 30, 2009. New Delhi, July 20 : Union Textiles Minister Dayanidhi Maran will begin his visit to Japan from today. Maran is leading the joint trade delegation of textiles sector. The seventeen-member delegation comprises the representatives of the Apparel Export Promotion Council (AEPC), The Cotton Textiles Export Promotion Council (TEXPROCIL), the Synthetic and Rayon Textiles Promotion Council (SRTEPC), the Knitwear Technology Mission, and leading textiles manufacturers and exporters from Tirupur and Coimbatore textiles clusters. New Delhi, July 16 : Union Textiles Minister Dayanidhi Maran will lead the joint trade delegation of textiles sector to Japan on July 20. The seventeen-member delegation comprises the representatives of the Apparel Export Promotion Council (AEPC), The Cotton Textiles Export Promotion Council (TEXPROCIL), the Synthetic and Rayon Textiles Promotion Council (SRTEPC), the Knitwear Technology Mission, and leading textiles manufacturers and exporters from Tirupur and Coimbatore textiles clusters. New Delhi, July 15 : Union Textiles Minister Dayanidhi Maran inaugurated the 43rd edition of the India International Garment Fair (IIGF) and the first exclusive silk exhibition `Silk Paradise' here today. More than 200 garment manufacturers and exporters from Delhi, Gurgaon, Noida, Faridabad, Jaipur, Pushkar, Tirupur, Mumbai and Kolkata are participating in the fair. Over 3,000 visitors from 70 countries are expected to attend this fashion extravaganza. Textile Minister Dayanidhi Maran, while disclosing his agenda for 100 days in office, has chalked out plans to reframe the National Fibre Policy, setting up two integrated textile parks in the country besides covering 150,000 weavers under the health insurance scheme. The ministry will also restart seven textile mills in a line with Prime Minister Manmohan Singh's directives to show tangible results during 100 days in office. Mr. Maran said, "The implementation of 100 days action plan will empower various institutions in the ministry and the industry to embrace modern technology." 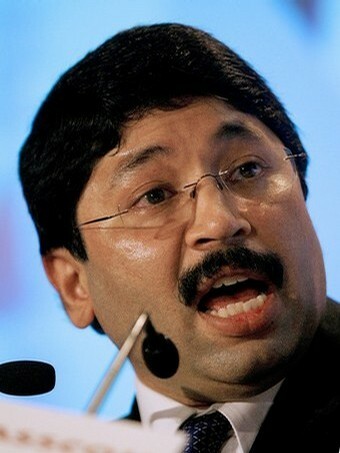 Coimbatore, June 17 : Union Textiles Minister Dayanidhi Maran has said that the government would try to achieve seven to eight per cent growth in the industry during the current fiscal year, April 2009-March''10. This would generate more than two million jobs every year, he said. 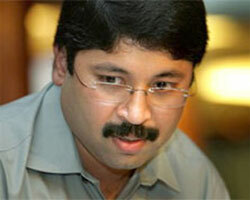 Chennai, Apr 25: Former Union Minister Dayanidhi Maran on Saturday slapped a legal notice on All India Anna Dravida Munnetra Kazhagam (AIADMK) chief and former Tamil Nadu Chief Minister J. Jayalalithaa for alleging irregularities in uplinking of programmes of the satellite Television channel SUN TV, which is owned by his brother Kalanidhi Maran. In his notice, Maran has sought Rs. 10 crore and an apology from Jayalalithaa.